The website is the core of any ecommerce business. That’s why every ecommerce team is constantly testing, optimizing, and redesigning. But what if there was a way to design an intuitive, robust website in just 30 seconds? That’s the goal of Bookmark, a start-up that’s applying machine learning and artificial intelligence to web design. Criteo recently had the chance to talk to founder David Kosmayer about the company and how his team is harnessing machine learning to build the websites of the future. 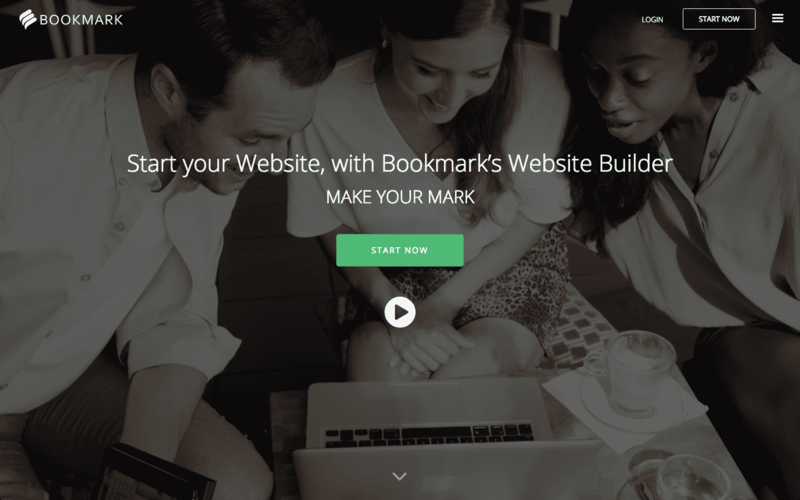 Founded in 2013 by CEO David Kosmayer, Bookmark is a website building platform that uses artificial intelligence and machine learning to create customized websites. The process can take less than thirty seconds. Prior to launching Bookmark – and inspiring him to look into the initial concepts for the company – Kosmayer founded a successful affiliate marketing agency with his brother in his parents’ basement. He observed his clients struggling to hire the right developers and being blindsided by the total fee when web projects exceeded initial quotes. Then, when a touch-up was needed, there were additional charges from other developers and designers. In short, web optimization was a pricey process. The overall lack of “technical literacy” that Kosmayer observed, as well as the increasing need for individuals, startups, and businesses to build their own websites, got him thinking about possible solutions. After eleven years of building his affiliate marketing company, Kosmayer became an investor in various startups, all the while observing how personalization seemed to be the key ingredient in the longevity and success of many companies. Kosmayer saw an opportunity and launched Bookmark. Backed by the Artificial Intelligence Design Assistant – or AiDA – Bookmark’s technology learns each user’s unique needs from a few nuggets of information provided by each client such as name, location, and type of business. Using the information provided, AiDA crawls competitor websites for any information about a client’s business across Google, Facebook, and other social channels. AiDA then determines which components, colors, and layouts would be most optimal and relevant for each website. For instance, if a yoga studio owner was looking to build out her web presence using Bookmark’s platform, she wouldn’t just choose a generic fitness template. She would enter her information and AiDA would crawl the web in order to pull information from studio, owner, and competitor websites. AiDA then determines the answers to a few key questions: would this business require a photo gallery? A page for testimonials? A CTA page? The result is a website that is totally unique to the business. AiDA gets smarter with each new Bookmark client. It learns from each customer’s actions – what they’re saving, editing, and publishing. AiDA takes the data from these customized websites so that, over time, the creations get better and more relevant for each individual user. Machine learning is what allows Bookmark’s recently launched on-boarding wizard – an integration that allows customers to change each individual component of their site with the simple click of a mouse – to improve design output with each click. Already meant for people with zero web design experience, Bookmark makes things even easier with the onboarding wizard. Customers can click through variations on each component until they arrive at one they’re satisfied with. With A.I. and machine learning on everyone’s lips today, it’s hard to allay fears that technology like AiDA could leave human creatives behind. As AiDA gets better, might we have less need for web designers and other web development creatives? The answer is no. Kosmayer sees AiDA as it’s named – a Design Assistant. While Bookmark’s current target customers are non-designers, Kosmayer hopes it’ll become a tool that can transform the way designers approach web design projects. 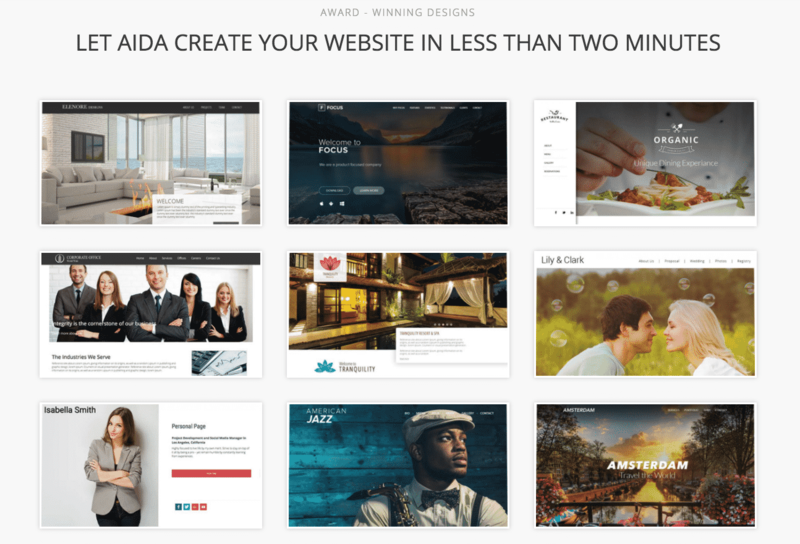 For example, since AiDa can build a website in 30 seconds, that would allow designers to rapidly create 5-10 completely different websites, present to clients in minutes and get feedback on their preferred “look”. After a selection is made, the designer would simply add unique design touches for further customization. Machine learning would also enable AiDA to extract colors from a company’s logo and apply those colors to the web design elements. Pairing sophisticated AI algorithms with a designer’s creative eye could save countless precious hours of human designer time that could be applied toward the true artistry of web design. While Kosmayer has no immediate plans to implement AI or machine learning in Bookmark’s marketing plans, he’s confident both will play a role in future campaigns. Kosmayer isn’t alone in that assessment. According to a recent white paper, IDC found that 64% of marketers believe that “optimized message targeting and real-time personalized advertising” are key areas where machine learning will deliver benefits. And they plan to invest accordingly.